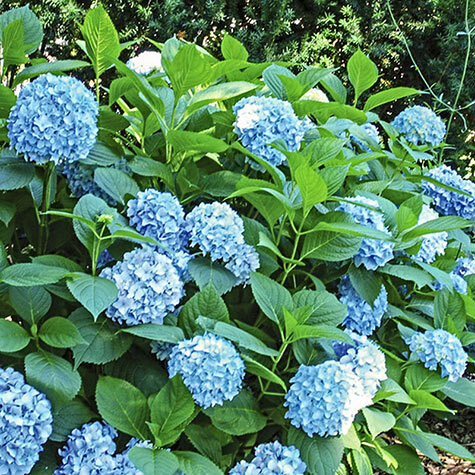 All Summer Beauty Hydrangea | Gurney's Seed & Nursery Co.
Big leaf, mophead hydrangea blooms on new and old wood—so you'll enjoy large, ball-shaped flower clusters in pink (in neutral soil) and blue (in acid soil) in early to midsummer and again in late summer. Dark green leaves turn bright yellow in fall. Grows 3- to 5-ft. tall with similar spread. Ideal for foundation plantings and containers. Plant in partial shade to full sun. Zones 5-8. 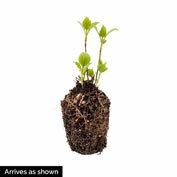 Depth: Plant so the stain on roots is below soil level. Light Required: Full sun to shade. Best in morning sunlight and afternoon shade. Color: Blue flowers in acid soil, pink flowers in alkaline soil. Foliage: Rounded, dark green leaves with coarsely toothed edges. 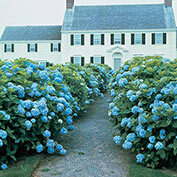 Blooms: Begins mid-summer for several weeks often until frost. 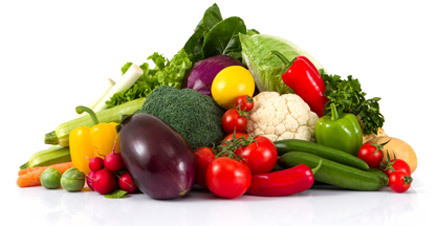 Soil Requirements: Well-drained, moist soil is preferred. Flower color will change if soil is treated. Pruning: Prune to shape after flowering. Remove dead wood anytime. Comments: Large, bold flower heads. High flower count and long bloom period. Enjoy a deep sky blue in acid soil or soft pink in more alkaline soil. Very hardy, great for more northern gardens because this variety flowers off the current season's growth where other 'mophead' varieties have flower buds form on previous year's growth. Harsh winters are not a problem for flower production. High flower count and long bloom period.